Last week I served in the role of spiritual elder, accompanying and supporting Lisa Graustein of Beacon Hill (MA) Friends Meeting as she led a daylong workshop in New Haven, Connecticut for educators, students and other civic leaders focusing on how our systems of education might be transformed to foster racial justice and healing of multi-generational harm as an alternative to the devastating effects of current realities. Often working in partnership with Niyonu Spann, a Friend with deep New England roots who shared powerful ministry at Annual Sessions in 2014, Lisa’s ministry in the wider world is to me a pattern and example of how New England Friends are living their faith in ways that matter, within our own spiritual communities and beyond the walls of our meetinghouses and events. Throughout the day, I felt joy and a renewed sense of hope to be part of such an energized and committed group of attenders, diverse in age, race, background and profession as we envisioned a world transformed. It was also powerful to be there alongside several Friends from New Haven (CT) Meeting, as well as visiting Friends from Vermont and Massachusetts. Last Thursday, we were modeling the ways I hope New England Quakers will more and more support each other in carrying the spiritual treasures of our tradition into our wider communities, sharing with humility and boldness what we have to share and learning alongside others who like us are called to seek and to nurture the Beloved Community, here and now. On the long way home that night, it struck me that this experience was a foretaste and a glimpse of the vision for our common life that is also reflected in the Epistle from Annual Sessions this year. In the best tradition of Friends spiritual writing, this year’s Epistle is not simply a description of what happened at a weeklong Quaker conference. It offers a spiritual invitation and encouragement for faithful living, and a testimony to how together we might more deeply embrace and express the Power available to us – the Life to which our living tradition bears witness. If you haven’t yet read the Epistle and shared it with your local meeting, I encourage you to do so. We’re living out this invitation in many ways. 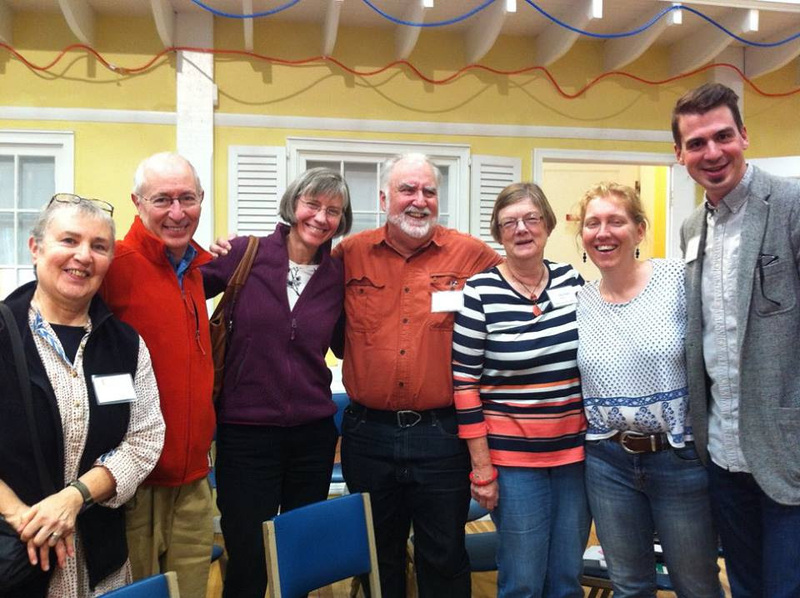 The image to the left is of another group of New England Friends – this time in Boston – taking part on September 12 in an interfaith witness as part of the Moral Revival events across the country. This fall is full of opportunities to connect with our wider Quaker community for spiritual nurture, discernment and witness on shared concerns. Read on for brief news of just some ways the Spirit is at work among Friends in New England. I hope to see you at one of these events, or in worship at meeting soon. P.S. 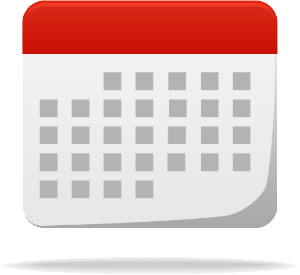 – And please – send your events, news and suggestions for upcoming issues! How does the Spirit prosper in your meeting, or in the wider witness and work of Friends in your part of New England and beyond? 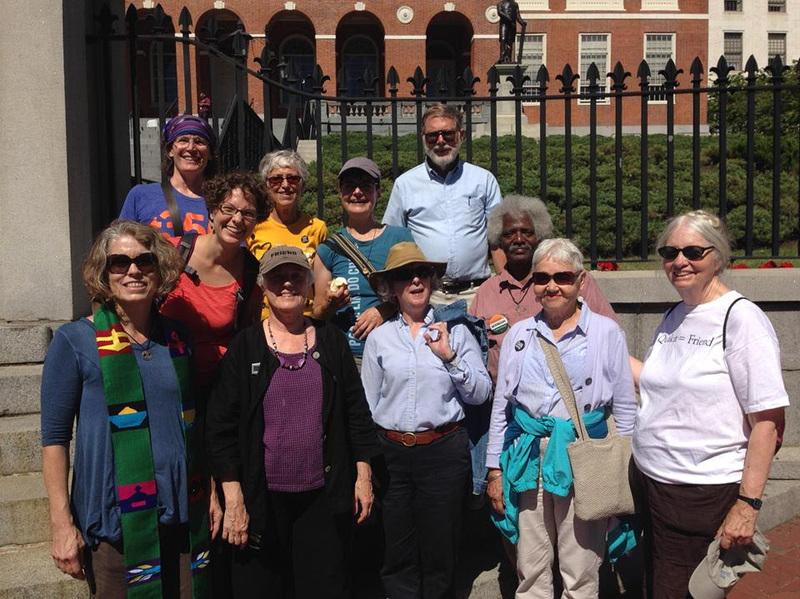 Images above: (right) Friends in New Haven for Lisa Graustein’s forum; (left) Friends from Salem Quarter at the Massachusetts Statehouse for the Moral Revival Day of Action. *A quotation from Robin Mohr, Executive Secretary of Friends World Committee for Consultation, Section of the Americas. Friends communities across New England are engaged in work for racial justice – and we have much work to do to live into God’s vision of wholeness and healing. In this brief reflection, Clarence Burley of Worcester (MA) Friends Meeting offers a glimpse of an interfaith service in which Worcester Friends participated, witnessing for a new season of justice and healing for their city. 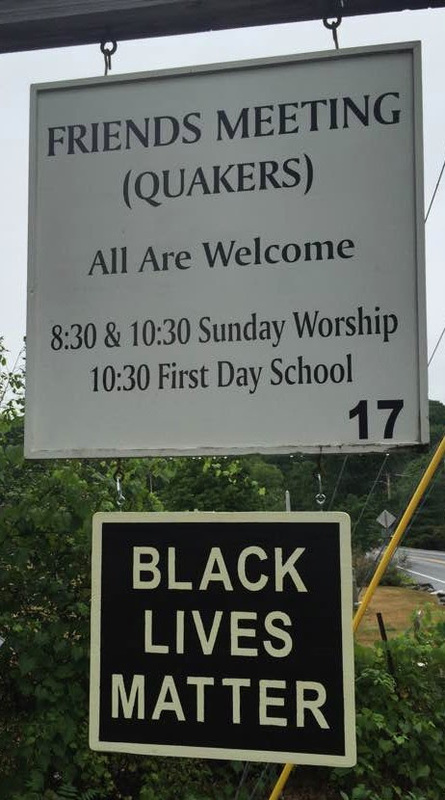 This August, the Annual Sessions of New England Yearly Meeting approved a minute committing to work for racial justice and toward overcoming white supremacy. Image: Putney (VT) Friends meeting. Find out what Friends throughout New England had to say. 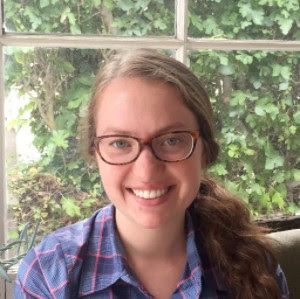 New England Yearly Meeting of Friends joyfully welcomes Anna Hopkins as our new Friends Camp Director. With support from our longtime former director Nat Shed – who is staying on as a senior consultant this year – Anna is already deeply engaged in preparing for next year’s camp season, and helping us to lift up a shared vision for the future of our beloved Friends Camp as an ever more vibrant youth ministry of New England Friends. 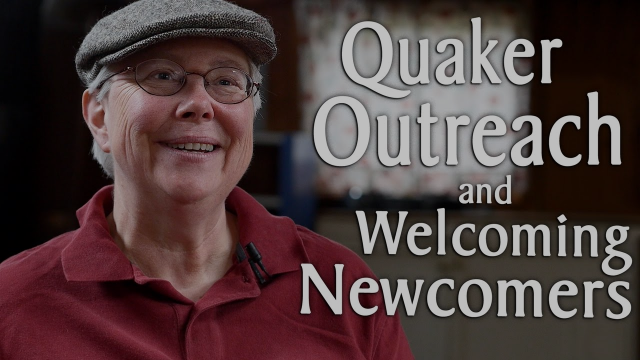 Did your meeting participate in World Quaker Day this year?Several meetings across New England have already shared their photos and reflections. View a gallery of images from Friends around the world – including several local meetings in New England. Please hold in the Light the Executive Committee for Friends World Committee in the Americas, as they gather in New England this weekend clerked by Benigno Sanchez-Eppler of Northampton (MA) Friends, with Dorothy Grannell of Portland (ME) Friends serving as recording clerk. The first Living Faith gathering will be held November 5 at Friends School of Portland in Portland, Maine – and spaces are filling up fast. While we’ve set aside spaces to ensure enough room for Friends from local meetings in Maine, the initial strong response means you’ll need to register as soon as possible to confirm a place if you plan to attend. For more information, visit the Living Faith pages on neym.org. Can’t make this one? A second Living Faith event will be held in Providence, Rhode Island on April 8, 2017. Last spring, Portland (ME) Friends Becky Steele and Doug McCown – serving as Friends in Washington with Friends Committee on National Legislation – contacted New England Yearly Meeting to ask us to join an interfaith effort to protect an environmental treasure of biodiversity in the northwest Atlantic Ocean near New England. Utilizing our policy on time-sensitive statements, New England Yearly Meeting of Friends joined faith groups from throughout our region to sign on to a letter asking the President for permanent protection of recently-discovered canyons and seamounts off the New England coast. Last month, President Obama responded, creating the first marine national monument in the Atlantic Ocean. Here’s a White House video of the announcement, and a response to the decision from the advocacy organization Earthjustice. And if you haven’t seen it, the Minute from Annual Sessions committing to corporate action to support climate witness is here. 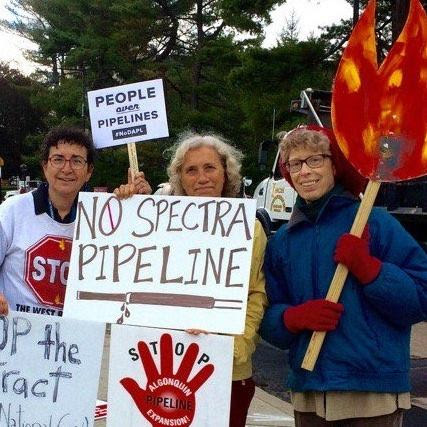 Image: Friends from Friends Meeting at Cambridge (MA) witness against construction of the Spectra natural gas pipeline in West Roxbury, MA. October 18, Wellesley, MA: Our Life is Love: An evening with Marcelle Martin. A conversation with Philadelphia Friend Marcelle Martin about her new book, Our Life is Love: The Quaker Spiritual Journey. October 29, Leverett, MA: A DayTreat with Yearly Meeting Ministry & Counsel. An event supporting those who support the spiritual lives of their local meetings. 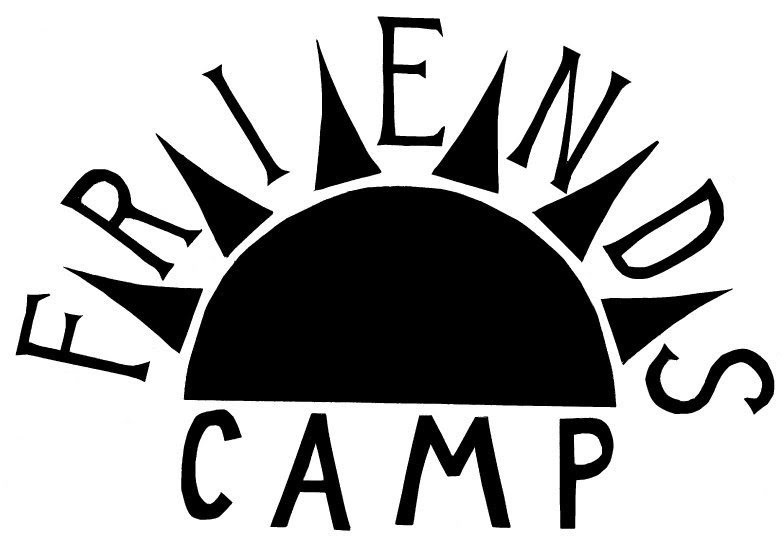 October 28-30, Framingham, MA: Friends Gathering with a Concern for Prophetic Climate Action. Responding to the corporate call from NEYM Sessions to faithfulness around the climate crisis, the newly formed Prophetic Climate Action Working Group invites Friends carrying similar concerns to join them for a weekend of worship, discernment and planning. Advance registration requested. October 29, Portland, ME: Memorial Meeting for Al Norton. October 29, Burlington, VT: Clerking: It’s More Than Just Meeting for Business. A clerking workshop led by seasoned clerks Jan Hoffman (Mt. Toby, MA) and Jackie Stillwell (Monadnock, NH) hosted by Burlington (VT) Friends Meeting. 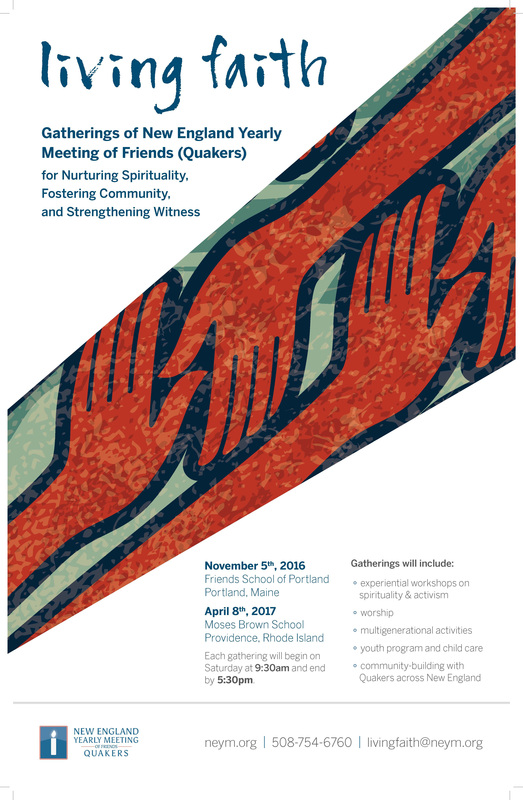 November 5, Portland, ME: Living Faith Gathering.The first in a new series of semiannual daylong gatherings sponsored by New England Yearly Meeting of Friends for Nurturing Spirituality, Fostering Community, and Strengthening Witness. Space is limited – Advance registration required. November 18-20, Old Chatham, NY: Practicing Prophetic Listening. New England Friends Debbie Humphries (Hartford, CT) and Jonathan Vogel-Borne (Cambridge, MA) lead a weekend on rediscovering the tradition of “prophetic listening” at the heart of Quaker witness. A workshop sponsored by Powell House. As many Friends are aware, for more than twenty years New England Friends have been building a Bridge of Love with Quakers in Cuba. In the wake of Hurricane Matthew’s passage over Cuba, here is an update from the Presiding Clerk of Cuba Yearly Meeting that we wanted to share. Please continue to hold Cuban Friends, the people of Cuba, Jamaica, Haiti, the Bahamas and all in the path of the hurricane in the Light. 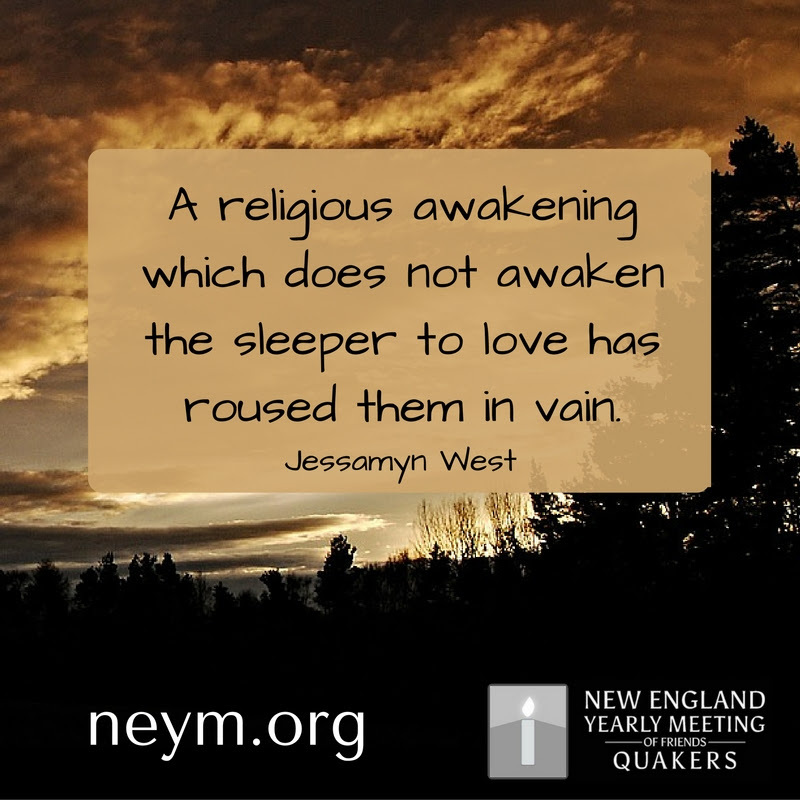 Copyright © 2016 New England Yearly Meeting of Friends (Quakers), All rights reserved.